Former Minnesota Vikings kicker Scott Sisson still has more career game winning field goals than any other kicker in Georgia Tech history. Scott Blair still has the highest career percentage in field goal conversion. The ‘Scotts’ are kicking coaches who have experienced many, if not most of the things their students hope to achieve. 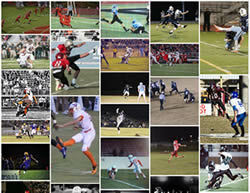 They’ve been there, and they now aspire to help other young kickers accomplish as much or more. Our Coaches have kicked for Division I football teams, ACC championship games, National Championship games and NFL games including Monday Night Football. Together they’ve accomplished personal goals in kicking at every level including high school All-County, All-State, All-ACC, All-America, the NFL Draft, Monday Night Football, multiple NFL game winning field goals, D1 bowl records, and even induction into the Hall Of Fame for a D1 college (Georgia Tech). They’ve personally experienced both the ultimate highs and lows of kicking and lived to tell the tales! 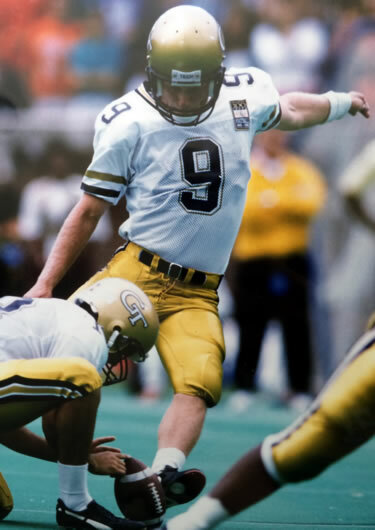 Scott Sisson was the kicker for the 1990 Georgia Tech national championship team. He was drafted into the NFL in 1992 and finished his professional career with the Minnesota Vikings in 1996. Today Scott is a Lou Groza voting panelist for the annual Placekicking Award which selects the nation’s top field goal kicker each year. Scott and his wife Beth live in North Georgia with their two kids and lots of animals. 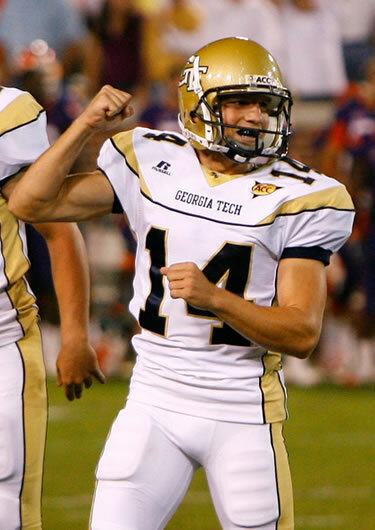 Scott Blair entered Georgia Tech as a walk-on and became the first kicking specialist since 1983 (and one of only two in Georgia Tech history) to handle both placekicking AND punting for the school. He was then awarded a full scholarship by coach Paul Johnson and finished his career as the school’s career field goal percentage leader. Scott and his wife Christy live in North Georgia. We will email you about new articles, clinic dates, training videos, lessons, workouts, drills or just about anything else that we can share to make you a better kicker or punter!
" Coach Scott is by far one of the greatest kicking coaches that I've worked with, hands down! I hope to work with him for many years to come. I walk away from each lesson knowing that I'm a better kicker because of him!!!"